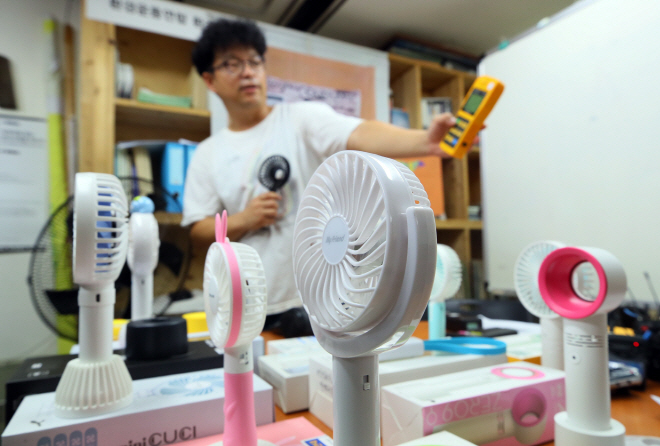 SEOUL, Aug. 22 (Korea Bizwire) — The Asian Citizen’s Center for Environment and Health announced that 12 out of the 13 handheld portable fans currently sold on the market emit worrying levels of electromagnetic radiation. The center purchased various portable fans at department stores and hypermarkets in Seoul between the end of July and early August, and had them tested for electromagnetic radiation with the help of the “EPRI-EMDEX2” devices currently used by the government and research centers. Only one Korean-made model without blades did not emit electromagnetic waves. The other 12 models that had spinning blades produced in China, Korea and elsewhere showed electromagnetic radiation levels of 647.7 mG on average when put in contact with the measuring instrument. One portable fan model emitted electromagnetic radiation of 50 mG, while the remaining 11 models emitted electromagnetic radiation at levels between 281 mG and 1,020 mG. The current government guidelines on electromagnetic emission states that emission levels above 833 mG may cause bodily harm. Four models that were tested by the Asian Citizen’s Center exceeded the maximum limit of electromagnetic wave emission outlined by the government. However, the level of electromagnetic radiation emitted decreased as fans were held away from the body. When held 5 centimeters away from the measuring device, fans emitted electromagnetic waves of 38 mG on average, which is still considered high by experts. 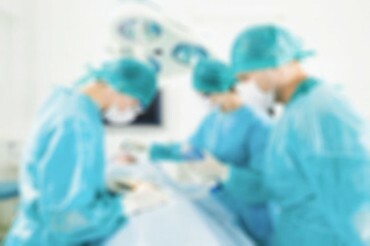 The center emphasized that fans should be held at least 25 centimeters away from the body in order to minimize the effect of electromagnetic radiation on the body.